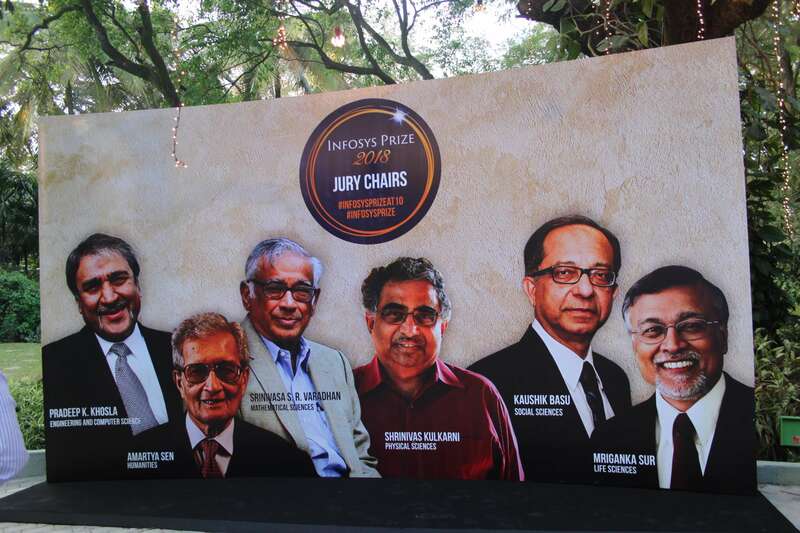 As she received the prestigious USD 100,000 Infosys Science Prize in the Humanities category, Kavita Singh joked that her presence at the award ceremony was “illegitimate”. 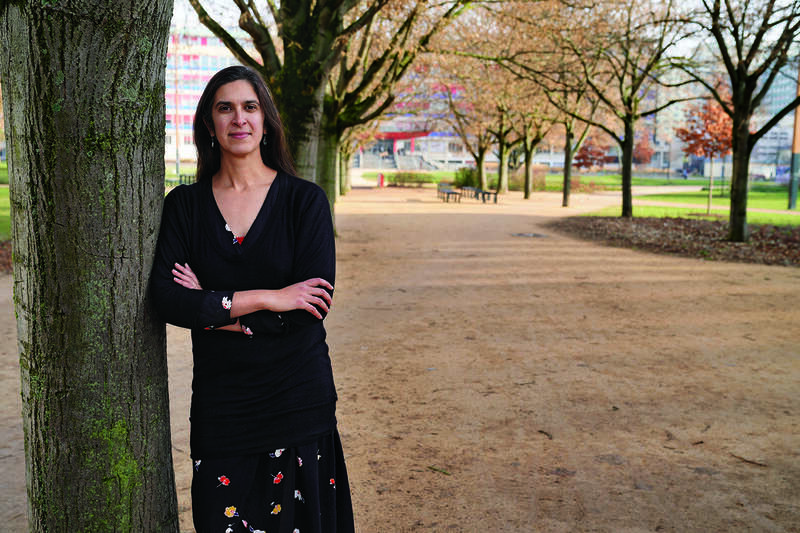 The art history scholar had landed in Bengaluru, where the event took place on January 5, only to find an email notifying her that her leave application had been rejected by the current Vice Chancellor. Such is the “comically bad” state of affairs at the once-distinguished Jawaharlal Nehru University (JNU) where she is a professor. Nevertheless, Singh’s spirits aren’t dampened. After all, it’s not every day that a field like art history gets mainstream attention, and she feels this could be just what we need as we navigate a volatile political environment in India and the world. In the list of winners, there is one other woman: Nalini Anantharaman, a French mathematician at the University of Strasbourg. She is the first woman to ever win the 10-year-old Infosys Science Prize in the Mathematics category. She is half Indian from her father’s side, whose mother tongue Tamil she hoped she had found the time to learn. Her equations have made important contributions to bridging classical and quantum physics. 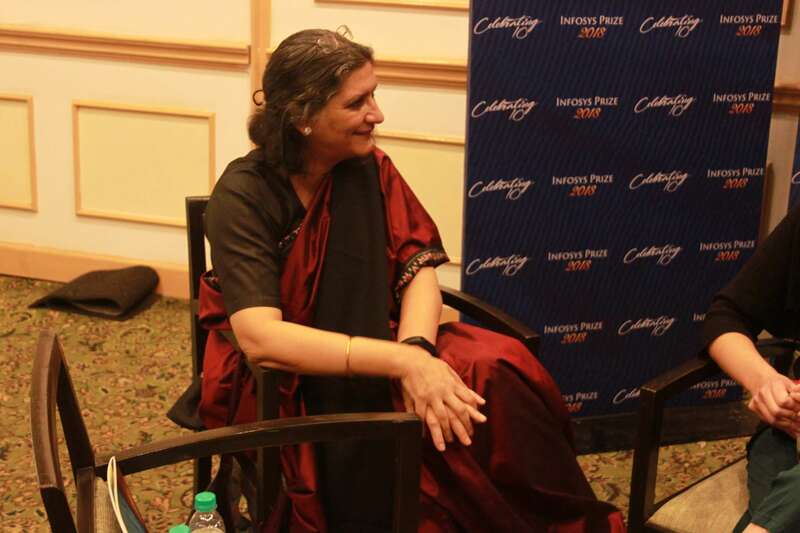 A few hours before the ceremony in January 2019, Nandita Jayaraj and Aashima Dogra sat down with the two winners to hear more about the importance of their work in times like ours and their experiences in academia. TLoS to Kavita: You won the prize for your work on Mughal, Rajput and Deccan art, and the significance of museums. Can you tell us more about this work and its importance in today’s times when there is an effort to erase, for example, parts of India’s Mughal history? Kavita: I work in two different areas in art history—the history of Indian courtly painting and museum studies. I always thought of museum studies as the more explicitly political area of my work, but as time progresses, the work on Indian painting takes on unanticipated political significance. As you rightly point out, the erasure of the role of the Mughals in Indian history, for instance, means any sort of work in the area shines a light in a corner that some would rather be left unseen. The work of many eminent scholars of Indian painting has explicitly or implicitly treated Mughal culture as exclusively Islamic and Rajput culture as exclusively Hindu. The two spheres are presented as though they are independent of each other and the art produced is entirely distinct in form, function and inspiration. This is not true. The two spheres were deeply enmeshed with each other. I have tried to show this in some of my work, by pointing out how artists migrating from Mughal to Rajput courts reuse Mughal imagery to serve new needs, or to suggest the way in which Radha-Krishna imagery underlies a painting of a Mughal emperor with his beloved. I hope to demonstrate the ways in which our current-day simplifications and binaries are distortions of the past. My museum-studies work was always more explicitly political because it looks at what are intended to be stable and authoritative institutions that convey weighty messages to the public—“This is our culture,” “This is a masterpiece,” “This was a dark phase in history”—and studying this inevitably becomes a study of the operation of forms of social power. Some of my writings in this area have addressed nationalism and the role of the museum in shoring up national identity. TLoS to Nalini: Your citation is a mouthful for the layperson! You won the mathematics prize for your “work related to ‘Quantum Chaos’, specifically for the effective use of entropy in the study of semiclassical limits of eigen states in quantum analogs of chaotic dynamical systems and for her work on the delocalissation of eigen functions on large regular graphs.” Can you try and break this down for us? Nalini: (smiles) I can because I trained yesterday night with my cousin to do this. I work with questions coming from physics but from a mathematical perspective. For the last 10 years, I’ve been working on equations describing how waves propagate—these could be sound waves, electromagnetic (light) waves, water waves or waves in quantum mechanics. It depends a lot on the geometry of a place. Imagine a concert hall in which sound is propagating. It will bounce on the walls, but the way it bounces depends on the shape of the room. It could be rectangular or elliptical… I try to describe the disorder, the chaotic aspect, that can occur when the wave propagates. These are all problems coming from physics, which I view from my mathematical frame of mind. Having studied physics in my first year, I still try to interact with physicists and observe what they are doing. 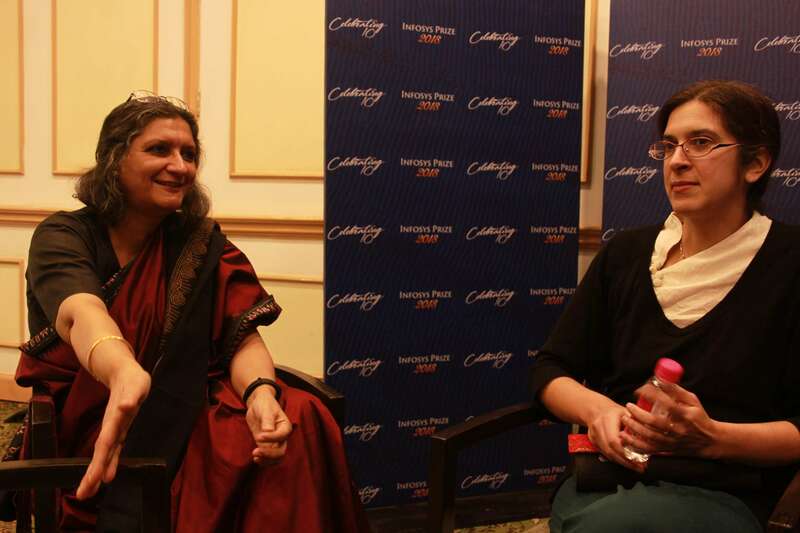 TLoS to Kavita: It has been suggested that India needs narratives like those arising from the humanities more than ever. Why is this so, and what are the challenges facing your research? Kavita: I’m reminded of the Chinese curse ‘May you live in interesting times’. For an art historian, these are very, very interesting times. Issues around culture, heritage and tradition are not just sparking debate, but riots. People are adhering to certain beliefs with a kind of vehemence, as though their lives and identities depend on it. Something has happened for this to take a feverish pitch. This is not just in India; it’s a global phenomenon. As part of this global phenomenon, we see that there seems to be a sustained attack on humanities and on institutes of higher education in many places. A very important institute in Hungary, Central European University, is being shut down by the new government. Similarly, the new Brazilian President is also saying things against universities and academics. I’m sensing that a lot of people are finding the increased need to have stronger group identities by invoking ideas which may or may not be true; it could be an invented tradition to consolidate these group identities. This is where the kind of work we do in art history and cultural heritage studies is very important. From here, a counter-narrative can emerge. At least, you have some information before you to choose whether it is worth spilling blood to defend a certain idea. This kind of work takes on more importance and relevance at these kinds of crisis times than ever before. Yet, these are also the times when our voices, disciplines, institutional positions, freedom to publish and the platforms available to publish are diminishing. It is not in the interest of certain people to have these options being made available. TLoS to Nalini: Would you say that being in a field like yours, so removed from practical life, gives you the luxury of being insulated from issues arising from the political atmosphere? Nalini: It’s absolutely not immune. For instance, during and after World War II, there were some mathematicians who were very involved in the nuclear programme. As a reaction, there was a group of mathematicians who said, after the war, that they refuse to have anything to do with applications. They thought applications were necessarily political as they would be used by western governments for war. This made an influence all over the world—in particular, in India. It created a division between applied and pure mathematics that did not exist before. At the moment, this is disappearing but, still, it’s very present in India, from what I understand. Pure math institutes & engineering institutes don’t mix. In the past, until maybe 100 years ago, mathematicians were also philosophers and they thought a lot about ethical issues. It has stopped at some point, but I think we should once again establish a connection with the social sciences and be aware of the ethical consequences of our work. TLoS to Nalini: It’s well-known how much technological breakthroughs of the past few decades have benefitted experimental science. What kind of advances help move theoretical research forward? Nalini: Experiments induce a lot of questions for us. In physics, people are making new materials with new geometries and crystalline structures. They see that these materials have new physical properties, but there is no theory behind what they see in the experiments. They can make these materials in the lab, but they cannot predict in advance what the physical properties will be. For this, they need theory; they need mathematicians, in particular, to make theoretical models. Models are simplified compared to reality, but at some point, you need a solid theoretical background to be able to move forward in experiments. TLoS to Nalini: How can theoretical mathematics help a field like quantum computing? Nalini: Of course, quantum computing has experimental issues—how do you make a quantum computer in the lab? But there are also many theoretical issues, such as decoherence, an effect that hinders quantum effects. Quantum physics grew from experiments; people noticed strange behaviour in atoms and wanted to explain it. Then, in the 1920s and ‘30s, papers in quantum physics became extremely mathematical. So much so that it is almost a miracle that it works. There was no reason to think that Schrodinger’s and Heisenberg’s concepts would work, but it did. This started a lot of philosophical debate on the role of mathematics in science. Einstein thought that because physics is supposed to help you understand the world, it’s not supposed to be just math. You should be able to translate it into words. So he was very unhappy with the developments in the subject. However, the Copenhagen School’s view was that if it works then it doesn’t really matter if you are not able to explain it in everyday language. My work is related to quantum physics, but I don’t really have a precise application in mind when I work. I work out of curiosity, which was considered to be a sin by some ancient Christian philosophers because it prevented you from thinking about god. But I think it’s very human to want to know what goes on around you. It drives me. TLoS to Nalini: How did you find your way to mathematics? Not many in France, and in many other countries, are aware that there is research going on in mathematics. They believe that, at some point in history, math stopped evolving. That was not so in my case. I knew that you could do research in math in the 20th century because both my parents are mathematicians. Though they didn’t talk much about it at home, I grew up in an atmosphere of math. There were mathematical objects everywhere, I could see them working, and they seemed happy doing mathematics. At school, I had a taste for science and mathematics in general. I knew I wanted to become a researcher, but I was not sure about which subject. As a teenager, biology was more attractive to me because I had the romantic idea that you could cure a disease with research. Besides this, I played the piano and even considered, very seriously, a career in Western classical music. Perhaps it was because of my family that I got into mathematics in the end. TLoS to Nalini: How strong is your connection to India? My father came from India to France to study mathematics when he was 22 years old. My mother is French. I’m definitely more French than Indian in culture. I think this is because at that time the culture of immigration was very different from what it is now. When they arrived in the country, they didn’t necessarily speak their native language to their children, something which is very fashionable now. I regret it a little bit that I never learnt Tamil, which is my father’s mother tongue, but I know quite a lot about the Hindu religion and mythology through storytelling. We also experience a lot of Indian cooking and music. I still feel quite close to Indian, especially the Hindu culture. TLoS to Kavita: What brought you to art history? I strayed into this field by accident. I come from a business family. When I was young, my interest was in physics. Except, in high school, I found that I could not do calculus, and my dreams of a career in physics ended. I didn’t do well in my class 12 exams and lost interest in science. I had enough marks to get into literature. When I stumbled upon a book describing the Nataraja sculpture, I found the book was fantastic. It had an essay which cited theology, philosophy, poetry, iconography, the skill of making the sculpture, and the geometric perspective. I wondered, what is this field where you get to look at a beautiful thing and read about it from so many different perspectives? It is like a renaissance discipline. I actually went around with this book asking people more about it. When someone identified it as art history, I decided to pursue the course. TLoS to Kavita: What have been the biggest challenges you’ve faced in your career so far? How did you overcome them? There were very few opportunities in art history—in fact, I am surprised that I ever got an academic job in the field in India as there are very few departments for this field. I went through long and depressing years after my PhD where I survived on a few peripatetic and poorly paid projects. I would like to say that in the end, my dogged persistence paid off and I was able to build a career in art history, but the truth is I simply lacked the imagination to reinvent myself. I carried on out of inertia and I lucked out. I hope I wasn’t supposed to provide some inspiration and guidance for younger people in the field? Because the truth is rather prosaic. TLoS to Kavita: What reason did the JNU vice-chancellor give for denying your leave application (to attend the awards function)? You have been denied leave earlier too. Why do you think this is? It is well known that our University is currently under attack by its own administration that is taking many steps to discomfit and hamper both faculty and students. In order to do so, the administration is distorting decision-making processes at every level. One of the techniques used is this: often there is no relationship between what transpires at committee meetings, and the Minutes, which claim all sorts of things in the committee’s name. This process was used to “pass” policies of compulsory attendance, first for students, and then later for teachers, which the vast majority of JNU has decried, not just for the policies but for the falsehoods through which they have been imposed. I am currently serving as Dean of my School which unfortunately makes me the intermediary between the administration and the School and I have been caught up in many instances when decision-making processes have been distorted and I have had to register my dissent. That has made me very unpopular with the administration. Some of my recent applications to come to Bangalore for the Infosys Award Ceremony, or to attend a conference in Delhi were turned down allegedly for not marking attendance—but if the University wanted to know whether or not I was doing so, they should have kept the application pending and asked for my records, instead of assuming I am not and summarily rejecting my leave. Other more consequential applications for leave next year for prestigious fellowships have been kept pending for five months before being turned down with no reason given. Leave denial has been used as an instrument by the administration as they realise that we have losses—academic, financial—through this and many of my colleagues have suffered as a result. TLoS to Kavita: You were one of the seven faculty members removed from JNU in 2017 and reinstated after the Delhi High Court orders. What has it been like to continue at JNU? You have said things are “comically bad” How is it impacting your everyday work? Several colleagues from other departments and I were removed from our administrative positions, as deans and chairpersons, but not from our faculty positions. It has been a challenge to resume our administrative work after being reinstated by the court for obvious reasons. Papers move very slowly, things that were feasible suddenly become impossible and funds and opportunities that are with us cannot be used because all sorts of obstacles come in their way. But that is only one side of the story. On the other side, there are the tremendous solidarities that have been forged among the JNU community as we go through these trying times. Earlier, I barely knew anyone beyond my own department. Now I feel connected to hundreds of colleagues from across all disciplines. It has been tremendously enriching and heartwarming. Everyday teaching goes on, though, at times like this, research is, of course, impacted. Not only is there no quiet time for reflection and creativity, but the strictures on travel and the slashing of funds has affected our hosting or attending conferences which are so critically important to keep up with what’s going on, or to get feedback and inputs for our own work. Then there is the disaster that is looming through enormous cuts in the funds for library and journal subscriptions that has already affected our research students. I sincerely hope that some of this will be reversed in the near future. TLoS to Kavita: In contrast to Mathematics, humanities are typically more gender diverse. What has been your experience as a woman in academia? Misogyny is everywhere. I remember one of my professors being overly encouraging to the male cohort who were quite mediocre and quite cutting to the many brilliant women in my class. He just assumed that we were not going to stay in academia and all the boys would, so he did not want to invest in us. Having said that, this is an unusual occurrence in my field. Generally, women have been able to take control and be at the fore of my field because it is a marginal, underfunded and ‘soft’ field. It is very normal for me to have mostly female colleagues and students. When there is a male, he really sticks out! It’s also interesting to note now that among all my cousins, the boys had a very basic higher education—for example, a Bachelor of Arts—before they inherited the family businesses and started a family. They have the kind of lives that replicated our parents’. The girls, on the other hand, we all went much further into higher education. So somehow, through a kind of benign neglect, we had more options! Parents were not so fussed about what their girls did. Eventually, they thought they were going to find someone for us to marry, so it did not matter to them what we did in the meanwhile. Of course, as we studied, we developed interests and ambitions, we married by choice and we did not have to follow any pattern as the boys did. TLoS to Nalini: Mathematics is one of the more male-dominated fields of research. How has this imbalance affected you? At conferences, sometimes I’m the only woman. In France, just about 17% of mathematicians are women. There are even fewer in the sub-fields and as you go up the hierarchy. There is now a lot of thinking in France about the reasons for this. Personally, I’ve never felt any discrimination. It could be because I was only paying attention to my own work. I think I’m quite strong in that I just want to be satisfied with my work; let people think what they want to. I’ve noticed that among students, girls and boys tend to do exams differently, especially in mathematics. When they know only the partial answer, girls tend to say they don’t know the answer, whereas boys are more likely to invent something. I think in their[boys’] education, they are more encouraged to bluff. Even as a researcher, it has taken me time to realise that sometimes my male colleagues behave as if they knew the answer even if they actually don’t. They just can’t say they don’t know! We, women, find it easier to say we don’t know. TLoS to both: How important do you think it is to have women in decision-making committees? Nalini: The culture in France is against quotas. But they have set quotas for women in hiring committees. There must be at least 40% of each gender. However, there are so few of us that it’s always the same women in all committees. This is a lot of work for us and it prevents us from doing research. It also means that a handful of women become very powerful. Moreover, I don’t even think that more women are being hired by this. It’s good to have some women in all committees because it prevents some negative comments from being made by male committee members. Forcing quotas, though, has some negative effects and I don’t think it has increased the number of women being hired in France. TLoS to Kavita: Like, Nalini, have you noticed differences in the way gender plays out in Indian academia? Yes, yes. And sometimes we even say we know less than we actually know. When there are such structural differences in the way girls and boys attempt examinations, it’s a bit of a hopeless situation. Because if you are in an arena where the setting of questions and the grading is done overwhelmingly by male professors, then you are in a trap where things will never change. We really have to acknowledge these patterns and think of a different kind of examination. TLoS to both: What needs to be done to bring more women into science? Kavita: Art history is hugely populated by women already. As one of the “softer” fields, and more significantly as an unremunerative one, it has many more women in it than men. The challenge is to see why the small number of men tend to rise higher in the institutional hierarchy and become museum directors, heads of foundations and so on while the vast number of women remain in some middle management position. Nalini: Difficult question! In France, we try to avoid “affirmative action” (for instance, the minimum quota for women), because we prefer to think that we are able to judge people only on a scientific basis, without any bias. Nevertheless, I think an unconscious bias always exists, and we should be able to work on that without necessarily introducing affirmative action. One also has to break the commonplace feeling that research and science are not “feminine” activities. This feeling appears at a young age and is sometimes encouraged by parents or teachers when they push boys towards scientific studies but don’t do the same for girls. So, it’s important that children meet role models of female scientists. In fact, the job of a researcher has the advantage that it offers some flexibility of personal organisation, and the possibility to make one’s own choices about the balance between work and family life. 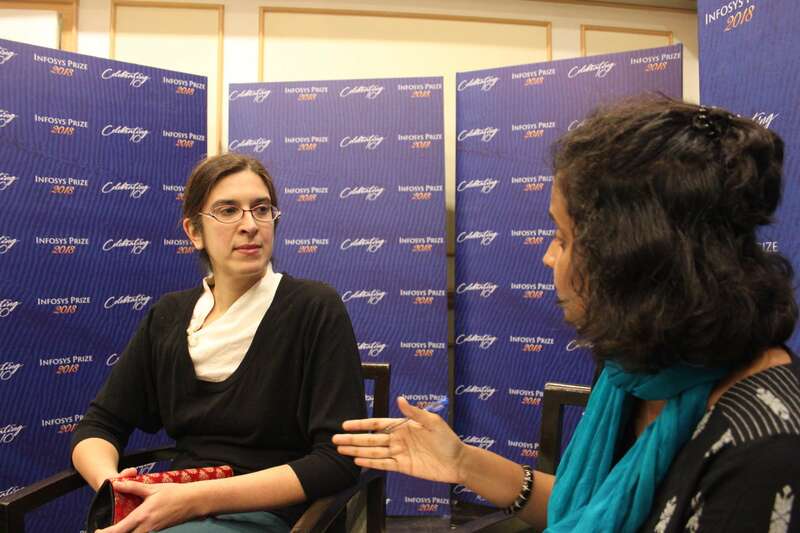 TLoS to Nalini: Are there any good practices followed by France that could work in India? In France, there are workshops organised for young women—sometimes scientific, and sometimes for people to think about discrimination. For example, if teachers are not aware of the differences in how boys and girls attempt exams, it could work against girls. About ten years ago, I attended a meeting of Indian women in mathematics in Chennai. There, I realised that there were problems specific to India. For example, women here marry early and have children early. Some women said that professors refused to supervise their PhD because they thought they would have children in the middle of a PhD. This problem does not exist in France. TLoS to Kavita: You said that you have noticed differences in the way gender plays out in academia. Can you specify how? Can you share any instances you’ve seen over the course of your career where women have been treated differently than men? I find it startling and heartening that young women now are refusing to put up with things that we quietly bore. Everybody is speaking about serious issues of sexual harassment, and even in my generation that would have not gone unchallenged, but we accepted that it was our fate to be the unacknowledged worker bees for a very long time; we produced work including ideas that got incorporated into someone else’s work so often it was too exhausting to fight it every time. I have learned to shrug off disappointments and small injustices and just to get on with my work, regardless of whether it is being acknowledged or not. Somewhere, somehow, you get your breaks—and perhaps it is not a coincidence that the crucial breaks I got at early phases of my career came through women who were the heads of institutions, rather than through men. I am very grateful for this and I hope I can pass the favour on. It even happens with students—I have noticed how they carefully attribute the work of male professors but plagiarise the work of female professors. TLoS to both: What does this award mean to you? Kavita: For me and a lot of my colleagues, it was a wonderful thing to see an award coming to art history, which has such a small footprint in India. We definitely see it as a collective achievement of the discipline, and also of my university which is embattled at the moment. I feel very acutely aware of how many brilliant people there are around me. Sometimes, it can be just a happy accident that brought the award to me and not the one sitting in the next chair who is doing fantastic work. I am grateful on a personal level and also humbled. I’m also hopeful that this award will give visibility to some of my pet projects that have not taken off. As a teacher, I’ve been very concerned to see that students who come from different educational backgrounds have completely different mental universes. When students who are not comfortable with English need to do a term paper, the kind of literature available to them to read is so limited. This really affects the intellectual universe that these students inhabit. I’ve been trying to talk at various fora about getting a big translation project so that the latest scholarship can be available in Indian languages as well. That has not yet gotten off the ground, but maybe now when I speak, somebody will listen. Nalini: I’m always a bit embarrassed by awards. Somehow, I don’t feel I’m better than others. I have many colleagues who I think are better than me and haven’t won any awards. Also, achievements in research are often the result of collaborative work. On the other hand, awards have helped me gain confidence, and I have more freedom in choosing my field of research. In that sense, it’s a very positive thing.